Three months after the Investigative Unit exposed questionable spending by SMCCCD chancellor Ron Galatolo, he and his administrators have revised their rules to allow the purchase of alcohol using taxpayer dollars. At a board meeting Wednesday night, district leaders at the San Mateo County Community College District updated “administrative procedures” that now state "when employees dine with business partners, vendors, donors or potential donors, the district will reimburse for alcohol." The revision allows 19 senior administrators, including the chancellor, presidents, vice chancellors and vice presidents to use their district-issued credit cards, also called procurement cards, to buy booze during business events. The changes come three months after an NBC Bay Area investigation revealed chancellor Ron Galatolo spent hundreds of dollars on alcohol, some of which did not show up on expense forms turned over by the district. The district's procurement card policy clearly states alcohol is a prohibited purchase, along with firearms, jewelry, and personal purchases. But the Investigative Unit reviewed three years of Galatolo’s expenses and found he regularly purchased alcohol with taxpayer money. He charged $978.27 for a dinner for 14 people at the Mon Ami Gabi in Las Vegas in 2013, where the receipt listed eight glasses of wine and eight martinis. Galatolo’s other purchases included mojitos from a poolside bar in Las Vegas for which there was no listed business purpose, a $100 Rubicon Cask bottle of wine in San Diego, and beer during a work day lunch with Trustee Karen Schwarz and her husband. Under the new rules, district officials could not use their cards to pay for meals or drinks with district employees or trustees. It’s a departure from state and federal guidelines which uniformly prohibit the purchase of alcohol on government issued cards, regardless of the event or purpose. He said he was unaware of the policies governing alcohol purchases at other Bay Area community college districts. 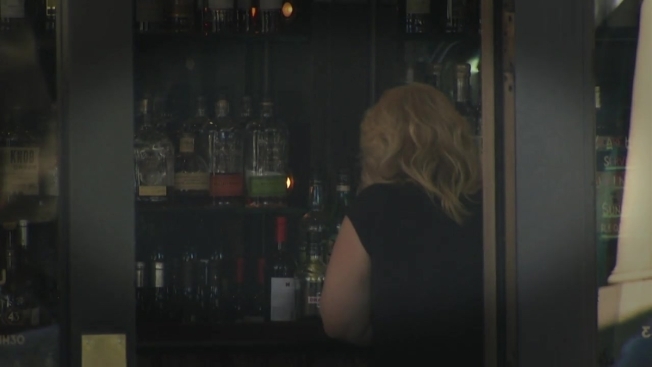 Representatives from the districts of DeAnza Foothill, Peralta, and Evergreen all told NBC Bay Area their policies expressly prohibit using public money for alcohol, and there are no exceptions to the rules. There was no vote on the new rules, which take effect immediately. A total of 276 employees have procurement cards, according to vice chancellor Kathy Blackwood. Only the senior administrators are allowed to use their cards to purchase alcohol. Chancellor Galatolo did not return a request for comment.